Amazing 4 Bedroom 4 Level Sidesplit In Orangeville On Corner Lot In Mature Neighborhood. Open Concept Living, Dining & Kitchen. Striking Custom Kitchen in 2008 With Rich Cabinetry, Duel Oven & Travertine Marble Floors. Private Master Suite In Lower Level With 3 Piece Ensuite Renovated in 2014. 4 Piece Bathroom Update With Jet Tub 'in 2011, Shingles in 2014, Deck & Hot Tub, Brazilian Walnut Hardwood, Berber Broadloom 2011, Windows in 2007, Central air-conditioning, Upgraded Light Fixtures, Water Softener, Recessed Lighting & Much More! Beautiful 2,098+1001 Sq. Ft 2 Storey 4+1 Bed Home With In-Law Suite In Brampton. 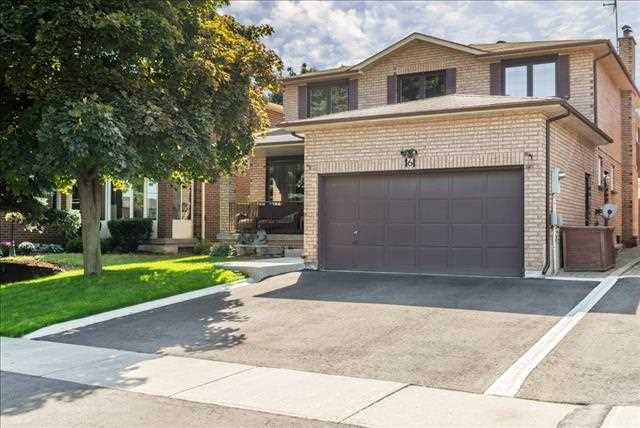 Minutes To Hwy 410 And Close To All Amenities And The Paths Of Etobicoke Creek Trails. Eat In Kitchen With Walk Out To Rear With Built In Blinds installed in 2012. Stainless Steele Appliances & Lots Of Cupboard Space. Lower level In-Law Suite With Eat-In Kitchen, Bed, Bath & 2nd Family Room With Fireplace. Master With Built In Vanity, Walk-In Closet & En-Suit. Fireplace, Wet Bar, Windows in 2012, Upgraded Powder Room in 2014. Crown Moulding, Trim Work, Skylight, Furnace Approx 2 Years Old, Multi-Level Deck, Garden Shed, Central vacuum & Much More! Or Call Kevin Flaherty Directly at 1-877-352-4378 ext. Wonderful Freshly Painted 2 Bedroom Raised Bungalow With Finished Walk-Out Basement In Orangeville Close To All Amenities. Open Concept With Combined Living, Dining Rooms & Multiple Pass Throughs. Laminate Flooring, Broadloom, Low Flow Toilets, Cupboard Hardware, Electrical/Light Switch Covers, Door Knobs & Upgraded Light Fixtures All Updated In 2014! Family Room Boasts Gas Fireplace And Above Grade Windows. Included: Freezer, Fridge, Stove & Dishwasher. Attached Single Car Garage, Jet Tub In Main Bathroom & Much More!